FastTrack Automation Studio's Script Editor can by a single mouse-click compile your script and optional binary files into a single self-contained executable file that does not require FastTrack Scripting Host (the run-time) to execute. Just open any script and hit the toolbar icon to save your script as an exe file, as demonstrated in the movie below. 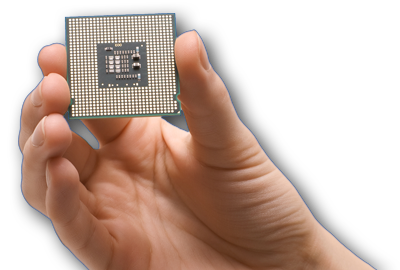 FastTrack Automation Studio can also compile your script and optional binary files into MSI files. Please refer to the this page for more information. 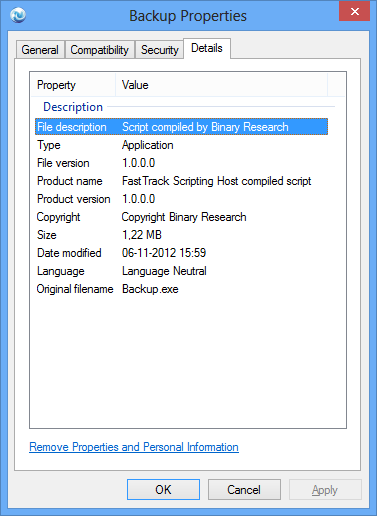 A FastTrack script can be executed directly, if fsh.exe is present. It can also be compiled into a stand-alone exe file, as shown above. The only drawback of saving as an exe file is that the original script must be kept as the source code for future editing, because the original script can never be retrieved from the exe file. If you are considering compiling your script into an exe file only to protect your content, you should be aware that you get the same level of protection simply by encrypting your script. You are a consultant writing scripts for customers and don't want them to have the original scripts or you want to be make sure there are no alterations to the scripts. You have little or no control over executing computers. Executing computers are not accessible for servicing and you need to give someone a secure script over the internet, by mail or similar. You have installation scripts in a relatively public location and you want to ensure the users do not copy the installation files or credentials. Your scripts are in a relatively public area, such as an education center, and you have concerns that external users may copy your license key. Other administrators also have your private key and you want to make sure no one else can edit your scripts. Note that producing an exe file or using the original script makes no difference to the licensing requirements. Any compiled exe file will be compiled with license information of the creator and licensing rules are the same. Save Script As Exe File (F10): This compiles your open script into a single executable file (see movie at the top). Advanced Exe File Compilation (F11): This compiles your open script and embeds other files in your script directory structure into a single executable file. 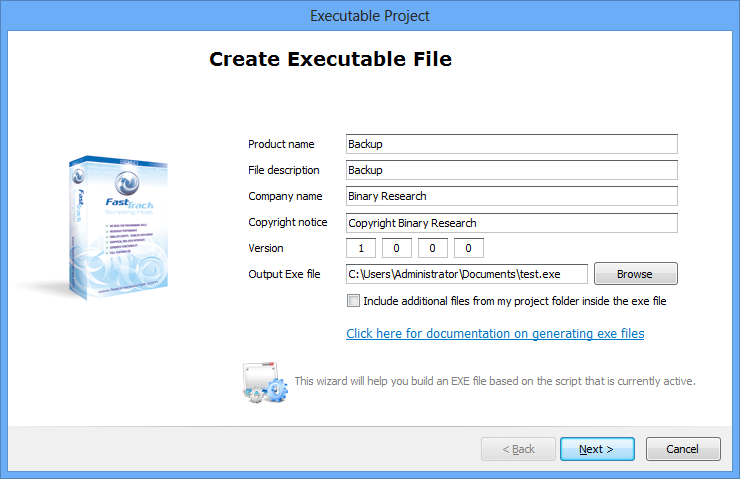 Compiling a script and additional files into one exe file is referred to on this page as an executable project. You can also use the advanced exe file compilation to set properties on the output exe file without embedding other files. This is explained further down this page. An executable project is basically the same as a script compiled into an exe file, except that it also includes other files. This means that you can repackage a whole directory structure and include your own custom script into one single self-extracting exe file. The files will be unpacked to the executing users' temporary directory and the script that was the base of the project is executed after unpacking as the "boot" script. You can then for example create a company specific repackage of a whole software installation if you wish, including your custom script, into a single exe file without compromising credentials and other sensible information in your script. The network administrator wants to create a pool of common applications where users can self-service to get some software installed, without consulting the IT department. Executing users must not be able to get the credentials of the local administrator account executing the installation. You can overrule all these properties. When you select the "Advanced Exe File Compilation" option, you can overrule the default information, as shown below. If you need to set the information for the "Save Script As Exe File" option (no additional files), you must use the "Advanced Exe File Compilation" menu item instead and uncheck the "Include additional files from my project folder inside the exe file" checkbox to exclude additional files. This will in effect be the same as the "Save Script As Exe File", except that you now have the option to set the exe file properties. If the /Quiet switch is specified, the successful conversion message will not be shown. In case of an error, an error message will always be displayed. You can call "Build.exe /?" to get a full list of command-line switches. This section and the next section are extracts from the Software Deployment page describing how to package a script and installation files into one single exe file that can be placed in a public location for computers that is not accessible for servicing. Please refer to that page for more details on creating installation scripts. Creating a single exe file based on a script and installation files has a number of advantages over all other possible alternatives for these types of machines: The users cannot get a copy of the installation files, the users do not have to be administrators and credentials can be safely included in scripts. What is important to understand is that all this will be compiled into a single executable file and the executing user will have no chance of getting any information from inside the script. The output exe file can be put in a public location and the url and start password can be handed out. Please refer to the official signtool page for more information on digitally signing exe files with signtool.